Open DAILY, 9AM TO 6PM Spring through Fall. Winter hours are 9AM to 5PM. Each year we are CLOSED THANKSGIVING DAY, (Closing early Christmas Eve at 1:00 PM) CHRISTMAS DAY, NEW YEARS DAY, EASTER SUNDAY. We announce inclement weather closings on this page and on our Facebook page. Come Pick Your Own vegetables and fruits that are in season! Our Pick-Your-Own fields do not have an admission. Just pick your produce and pay for it, by the pound, in the Market! Shop in the Braehead Farm Market for all of our fresh picked produce! Free Range Chicken Eggs, fresh grass fed Angus beef cuts, fresh pork cuts, produce, dairy ice cream, milk and cheese, jams, sauces, pickles and more! See our Market page for more info! March through December our Braehead Farm Kitchen is open daily for a delicious lunch! Weekends 11-4 and Weekdays from 11-2. 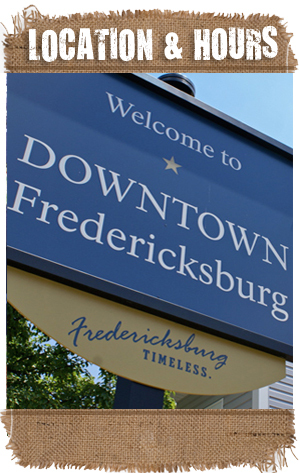 Directions: I-95 at Fredericksburg: Take Route 3 East, to right at the traffic light at the Fredericksburg Battlefield Industrial Park onto Belman Road, right on Tyler Street and the farm is on the left.